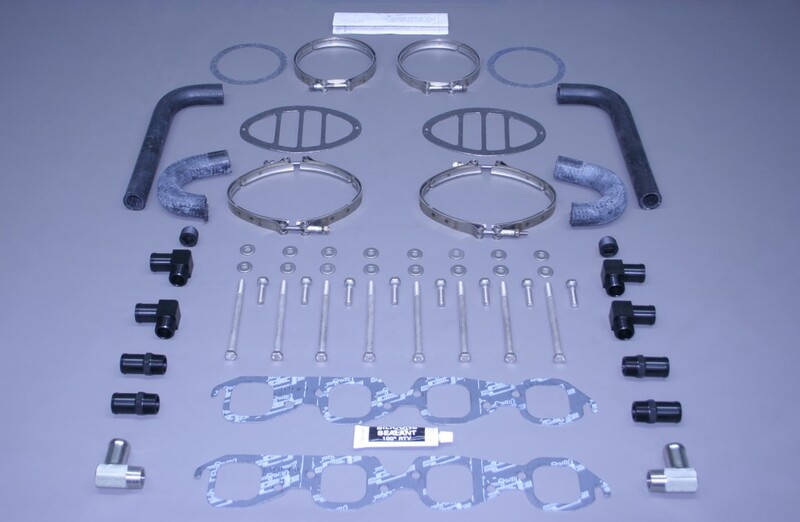 STAINLESS MARINE BBC Gen. III MANIFOLD KITS 4 1/2" with aluminum risers and 4 1/2" stainless tailpipes custom built to fit. Created for large, high horsepower engines, the Hi-Torque Gen-3 is an excellent choice for 600-1400 HP monster motors. 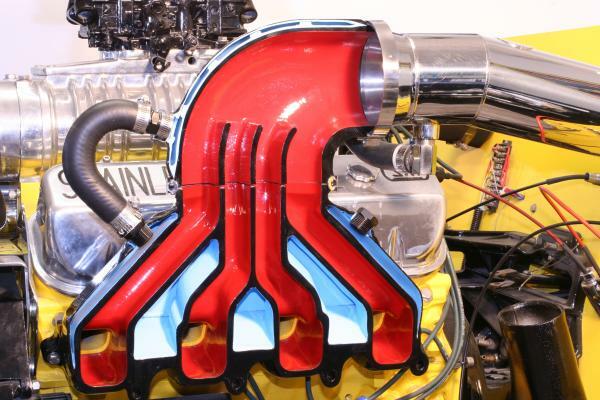 On many engines, they equal or exceed header performance. On supercharged engines, they are probably the best solution. Our race boat, the “Extreme Stainless Marine Special” won 13 national races in a row, on its way to the 2000 World & National title. 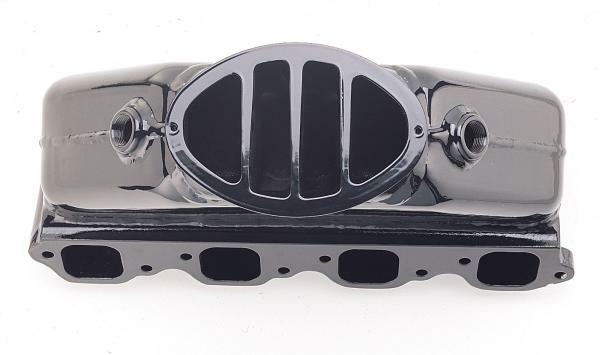 Hi-Torque Gen. III Big Block Exhaust Manifolds System feature state of the art design with single wall internal casting that is enclosed in a press formed aluminum jacket creating a fully water cooled manifold. Aluminum risers and highly polished stainless pipes come standard as well as bolts, gaskets and fittings. This system is also covered with an exclusive 5 year limited warranty. 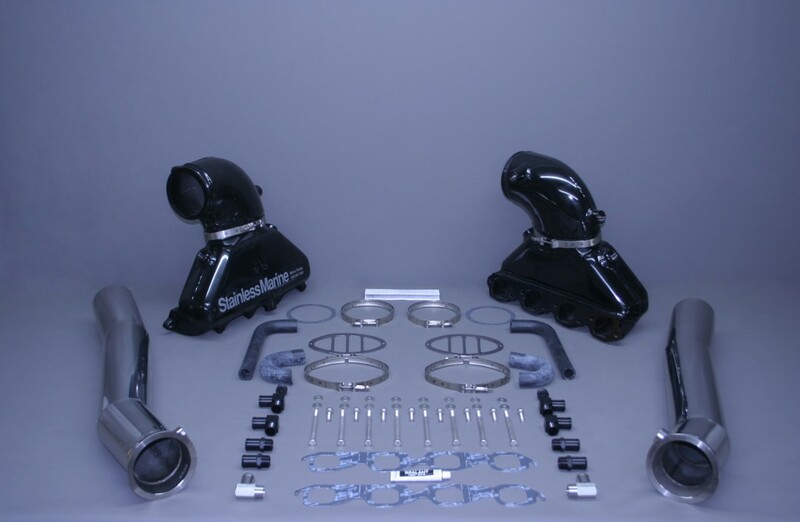 Stainless Marine exhaust systems are recognized industry wide for increased horsepower, remarkable weight savings and an exclusive five-year warranty. They offer incredible performance and hold both APBA catamaran and V-bottom records and have recorded speeds in excess of 160 MPH. 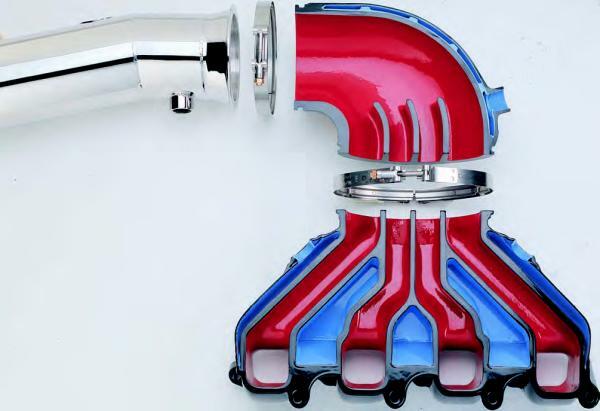 These high performance marine manifolds are designed for people looking for true marine header performance with the reliability of a marine manifold exhaust system. They are designed for large cubic inch and supercharged motors. Hot Boat and Trailer Boat Magazines tests revealed increases of 3.2 to 6.5 MPH on Mercruiser Big Block powered 22'-24' boats. Stainless Marines unique construction results in the heaviest manifold weighing only 23 pounds which is a huge weight savings over cast iron. 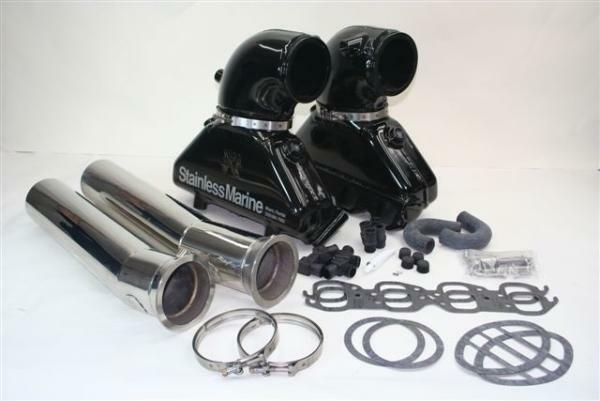 Stainless Marine is one of the finest quality and most competitively priced marine exhaust systems on the market today. *Note: All systems based on Bravo applications.